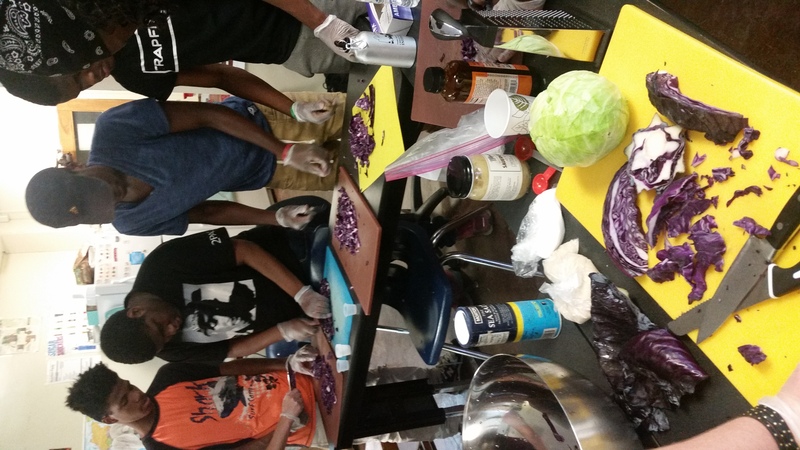 High school students in the summer program at Sayre High School practice their culinary skills by chopping cabbage to make sauerkraut — learning fermentation as a food preservation method used for preserving the harvest. 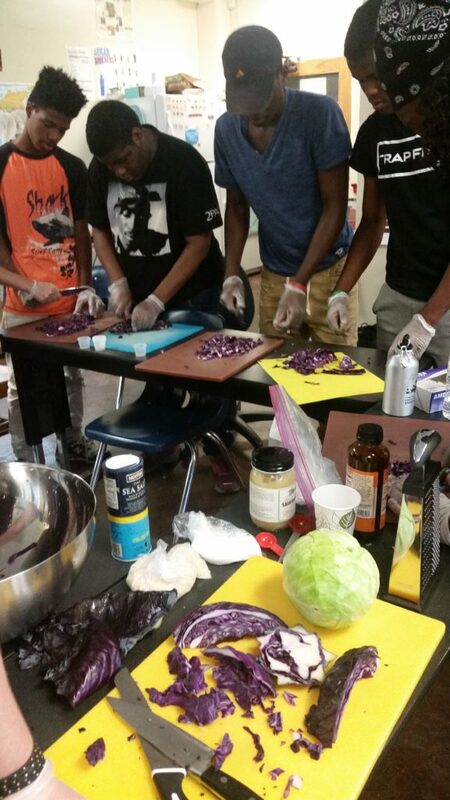 We’ve had a busy and bountiful spring season with POP’s School Orchard program and community educational initiatives. 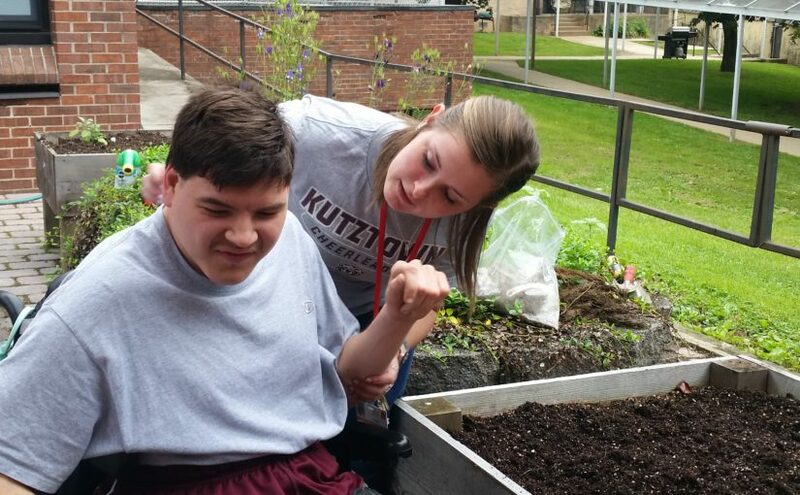 Since January, we’ve delivered 17 lessons to 6 school orchard partners (William L. Sayre High School, William T. Tilden Middle School, Henry C. Lea Elementary School, Overbrook School for the Blind, Penn Alexander School, John F. Hartranft School) and reached 210 students. In early spring we released a quantitative and qualitative survey to our 12 school partners to receive feedback on the learning priorities and desired outcomes of each unique program so that we might offer meaningful and objective-aligned programatic services to partners. 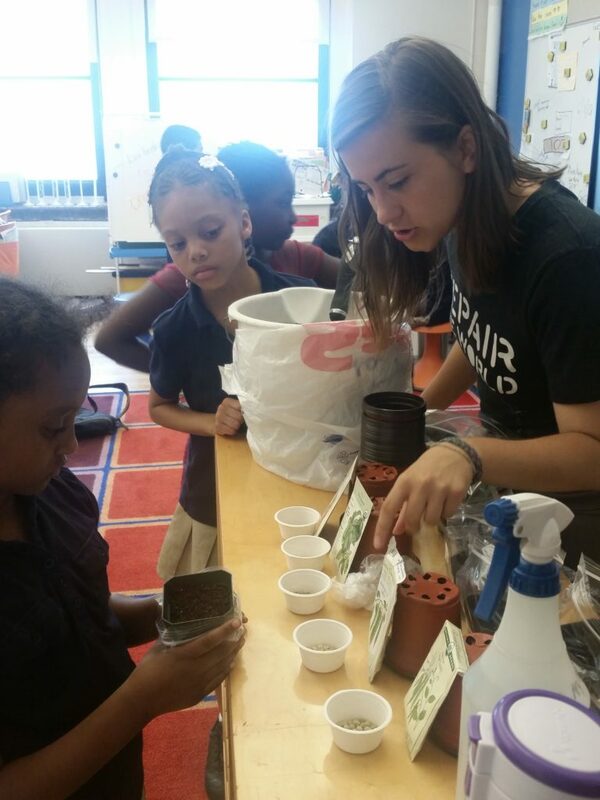 In addition to increasing engagement — getting more students out and into the school orchards to plant, maintain, and harvest from the orchards — school educators identified goals of building responsible students leaders who are literate and actively engaged in food systems work, and integrating school day programming through the gardens (Sayre HS, West Philly), to cultivating independent stewardship and increasing product creation (Tilden MS, West Philly), to having students actively engaged in the natural environments of the school grounds and understanding storm water management and natural technologies (Lea ES, West Philly). 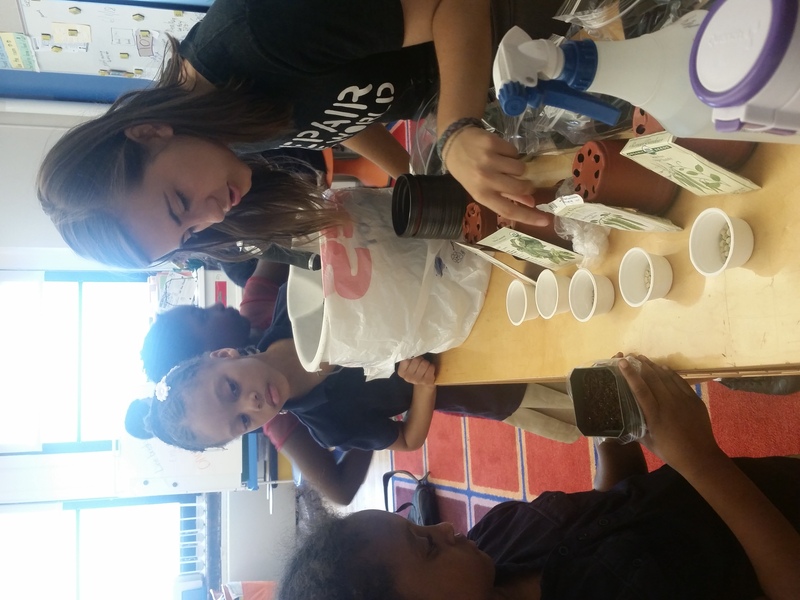 Megan Brookens, POP’s Repair the World Fellow ’17-’18, assists second graders at Lea Elementary School in seeding plants representing the different parts of the plant we harvest for food: root, leaf, flower, and fruit. direct orchard-care topics including plant propagation; pruning; planting annual fruiting crops; planting by seed, start, and cuttings; and treating pest and disease with organic management practices. 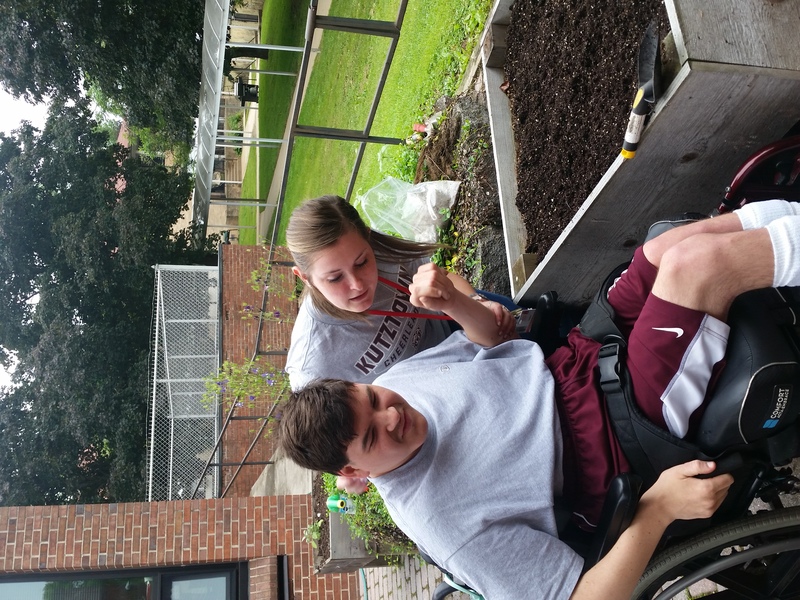 We also created dynamic sensory-activity storybooks on honeybees and earthworms for use with students at Overbrook School for the Blind, which will be released as downloadable PDFs in a forthcoming POP blog. The honeybee lesson guidebook will be adapted for pilot use with 10 special needs classrooms citywide this fall through the GrowAbility Education Collective which joins partners including Overbrook School for the Blind, Elwyn, Easterseals, Pennsylvania Horticultural Society, Penn State Master Gardeners, Greener Partners, Philadelphia Free Library’s Culinary Literacy Center, 4-H, Associated Services for the Blind, in adapting agricultural curriculum for special needs communities. 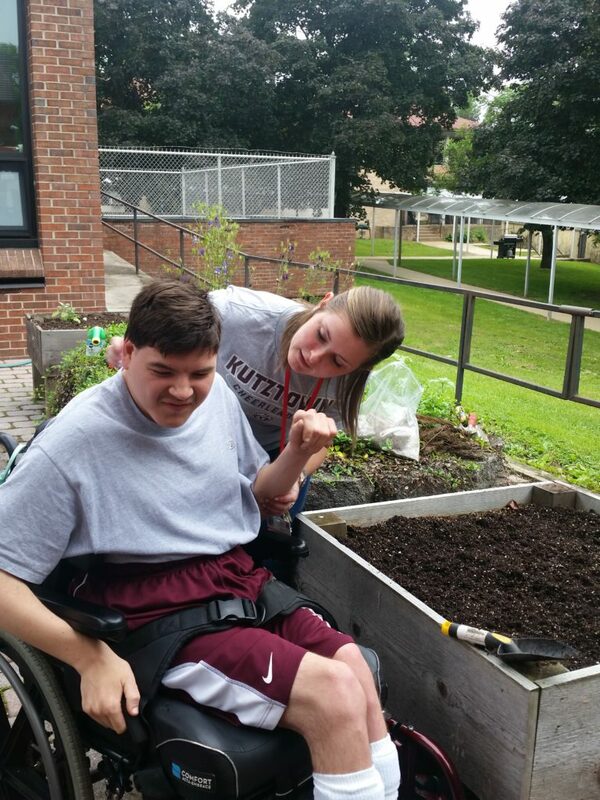 Students at Overbrook School for the Blind planted strawberries in the school’s courtyard Farm-to-Table garden. Later this summer through fall, POP will also unveil a new community education initiative in conjunction with our POPHarvest gleaning program – which will host community teachers from a range of traditions to lead workshops geared around underutilized fruits and herbs of our orchards. Look out for classes on Caribbean foodways and cooking – spotlight on thyme and burdock with Nyambi Royster of Lighthouse Orchard; herbal oxymel making with Kelly McCarthy of Attic Apothecary; trifoliate fire cider making with Al Pascal of Fikira Bakery; gingko history and nut processing with naturalist LJ Brubaker; and hawthorn medicine making with Julia Aguilar. If you’re interested in leading a community workshop, reach out to Education Director Alyssa Schimmel (alyssa@phillyorchards.org) and Orchard Director Michael Muehlbauer (michael@phillyorchards.org).